A light blue vintage dirndl with a cute white ribbon. 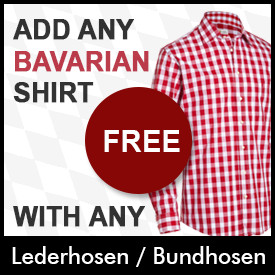 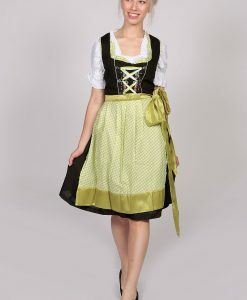 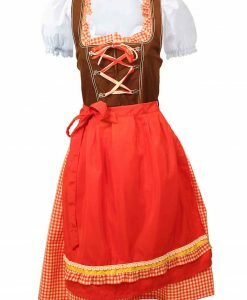 This German costume will brighten you up for any occasion. 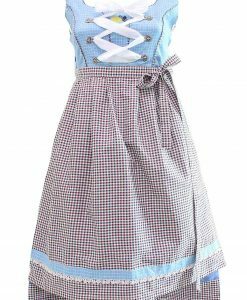 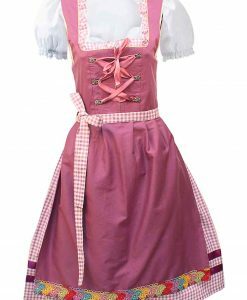 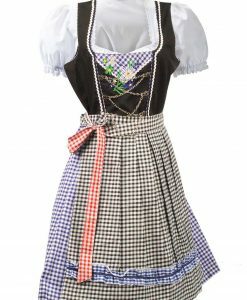 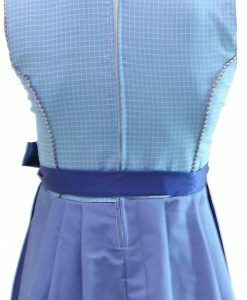 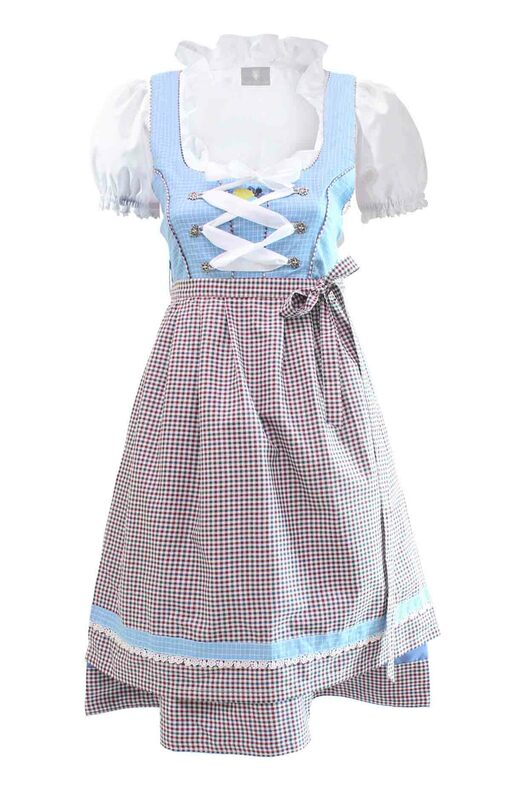 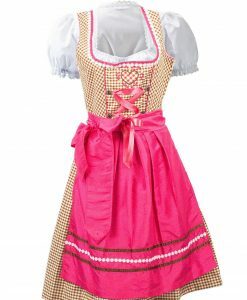 It includes a matching dirndl apron with a check dirndl pattern of maroon and blue. 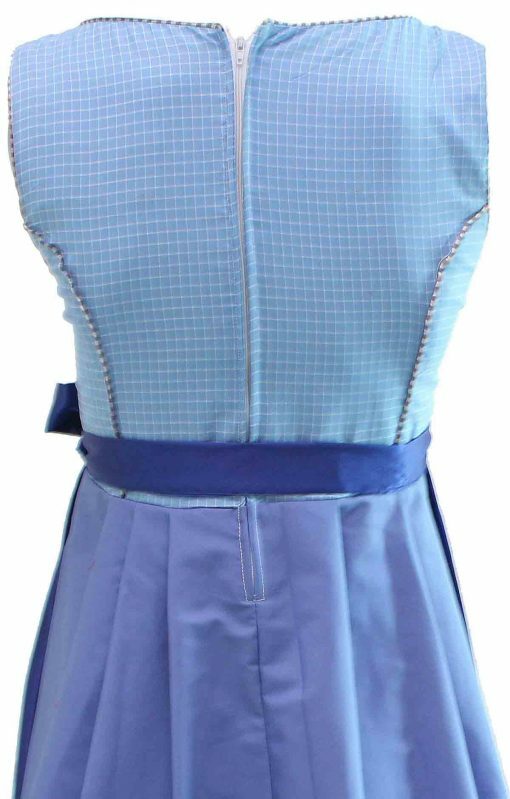 A sky blue bodice with a blue skirt. 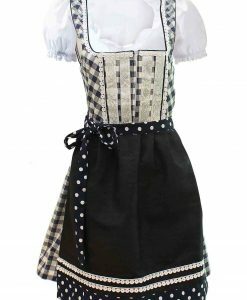 It has wide checkered border that budges out beneath the apron. A sleeveless dress with a length that almost covers the knee and would go great with a set of black heels. 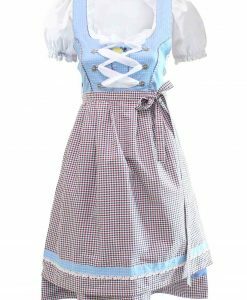 The neck line has a fine checkered piping, along the cloth for a vivid look. The bodice is plated with 3 pieces of stitched cloth for a proper fitting. 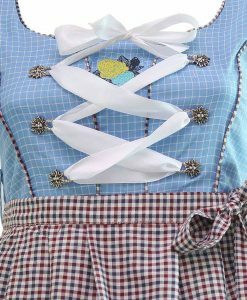 A wide white ribbon runs from the waist till the neckline to tighten and loosen according to your size. 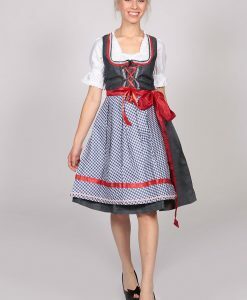 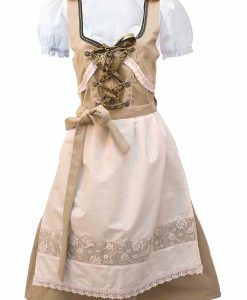 Its, a zipper back Bavarian dirndl dress. 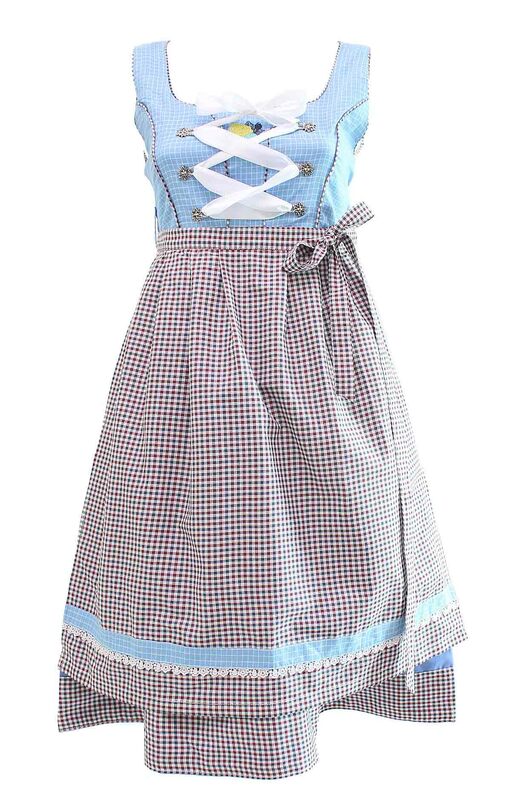 Compliments best with the checkered apron. 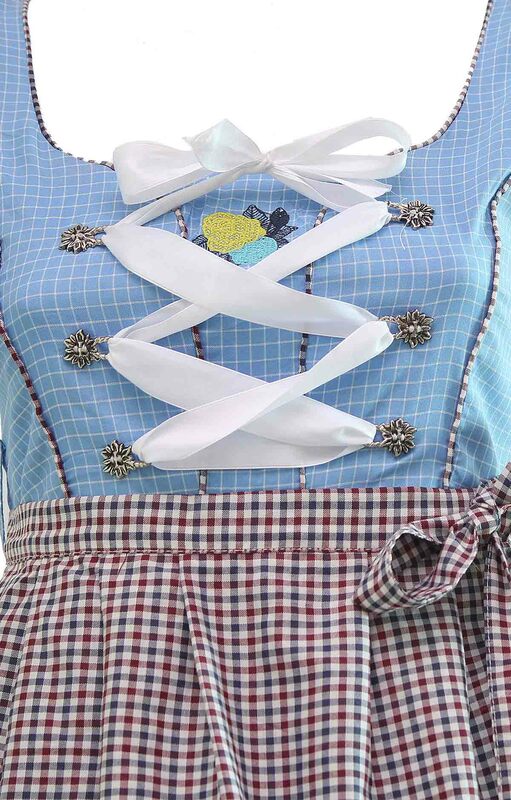 A wide checkered lace runs around the waist to be tied as a bow.